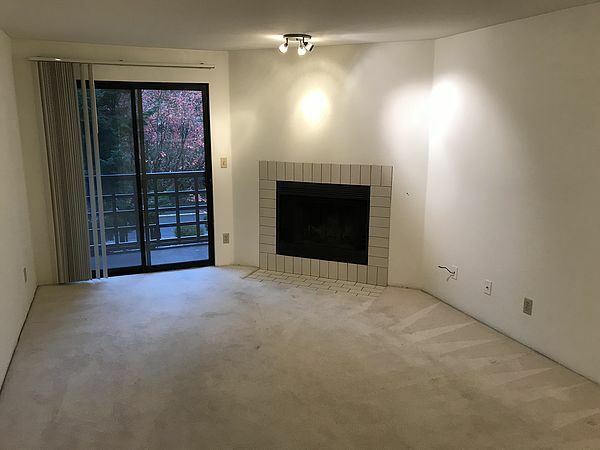 Lots of light and privacy in this spacious top floor condo with NEW carpet. Enjoy level access from secure garage to lobby with elevator access to all units. This home features a large living room with cozy wood burning fireplace, king size bedroom, full bath extra storage, serarate utility area and large deck. Additional features include secure building & parking, ample guest parking, and community sport court. Close to bus line, shpping, Central Market, restaurants, and Shoreline CC.